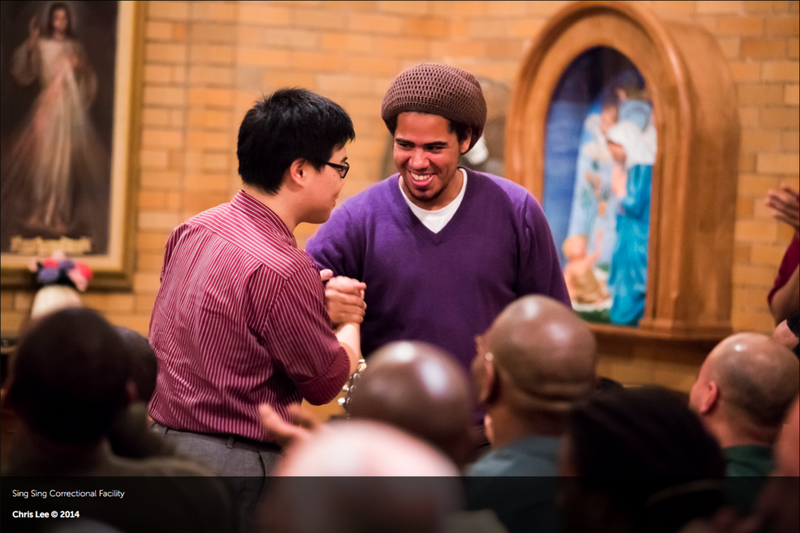 Music for Transformation is a new criminal justice initiative, created by Decoda after successful projects at Sing Sing Correctional Facility and Lee Correctional Institution. This initiative will connect with other emerging trends in rehabilitation and anti-recidivism for adults, juvenile offenders, and at-risk youths in correctional programs around the nation. Decoda’s work in corrections has been extensive and transformative. Over the past three years, Decoda has cultivated a model for long-term creative projects in two of our country’s largest maximum security prisons for male offenders: Sing Sing (Ossining, NY) and Lee Correctional Institution (Bishopville, SC). Decoda’s immersive musical collaborations have impacted inmates’ emotional well-being and improved their sense of self. Each institution has experienced a profound benefit beyond the individual; Decoda’s work has contributed to a transformative atmosphere of positive citizenship within the prison at large. Decoda seeks to enable the broadest possible audiences to make deep and personal connections to art regardless of their previous experience, exposure, or expertise. Our community initiatives in schools, correctional institutions, healthcare facilities, and homeless shelters strive to empower the musical voice inherent in all people. At this prison, inmates are becoming songwriters. A collaboration between Decoda and the South Carolina Dept of Corrections via HuffPost Rise. Projects involve week-long visits facilitated by 4-8 Decoda musicians in collaboration with approximately 25-40 youth and/or inmates as selected participants for each visit. Creative songwriting workshops are based on themes (ex: ‘Transformation’, ‘Where I’m From’, ‘I Hope’, 'I Can') and run between three and four hours each day. The culmination of each workshop-week is a live concert for a larger group within the incarcerated community and invited civilians, as well as the production of a professional recording of the participants’ original songs. At a time when both social and criminal justice is boiling over in the nation's consciousness, the musicians of Decoda excite at the possibility of this amazing exploration of the power of music to heal and rehabilitate. Can music heal us? The Decoda chamber ensemble is convinced it can by making music accessible to everyone. 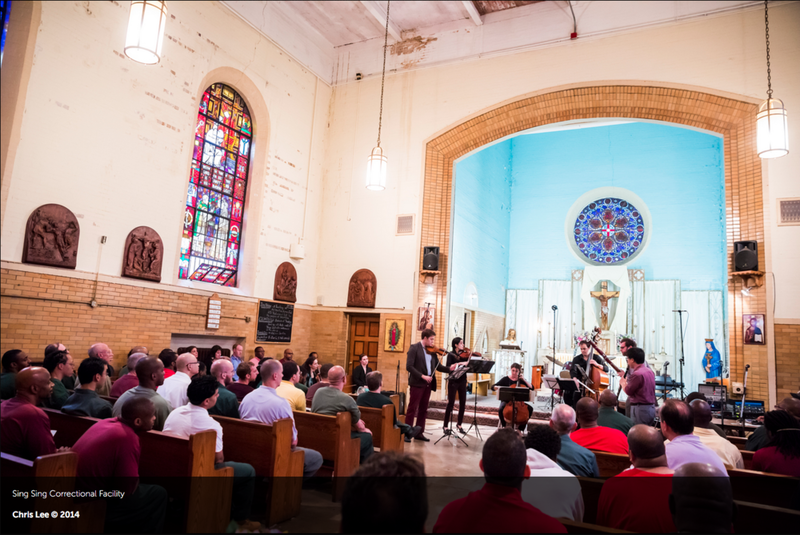 Every year, the New York City-based collective spends one week at the Lee Correctional Institution teaching inmates at the maximum security facility to play and compose music as part of a rehabilitation program. Decoda’s musical gift/contribution to Lee County Residence extend far beyond entertainment. The affair stimulated cognitive growth, musical integrity, inspired, enriched individual lives, and spurred courage to challenge oneself. Further enforcing the concept that only so much can be learned from reading books. Whereby instruction from highly skilled professional artists passionate in their art, imparting workable tools (insight into composing and arranging music, lyric writing, performing, etc.) true rehabilitation life time experience, subsequently impacting our future, family, friends, and possibly the world. For the last four years, a chamber music ensemble from Carnegie Hall in New York City, comes to Bishopville for a week. The group Decodas, works with inmates at the Lee Correctional Facility to compose original music and then perform it in concert. It's bringing much more than just music to the facility.